For me, it was the old school fashion blogs like Fashion Toast, Song of Style, Fashion Squad and Sincerely Jules. I used to read a lot of vintage fashion blogs (like Liebemarlene) too, so switched my style preference between the two. Then, I moved onto the likes of Llymlrs when she was still quite new and got into more high street blogs from there. I still love reading all of the above and, especially with the ‘bigger’ blogs, I really admire their street style photography and dreamy designer wardrobes. Shockingly, I had never read a beauty blog until I started blogging myself. They were completely alien to me before then, oh how I missed out! Beauty | I can’t even mention beauty without taking about Kate from Ghostparties, gurl basically owns my bank account and I don’t think I’ve missed reading a post since I discovered her blog. She’s so sweet too, so definitely one to check out (if you haven’t already …like who actually hasn’t?). I’m am quite partial to Temptalia when there’s a new release out, you know she’ll have a swatch! I also love Andrea from RosyChicc for her bright photos and reviews as well as Adrienne from Late Night Nonsense for the same reasons! Perfect photography. I wouldn’t say I have any blogging friends, as I’ve only met a handful of bloggers in real life but I do talk to a bunch of you on Twitter which I adore! Whenever I’m feeling down or happy or anxious or anything, there’s always someone to help you out or be happy for you, which is something I really love about the blogging community. I’m not gonna say any specific names, as there’s too many, but I do appreciate you all! Gotta say Ghostparties again as I said, she may aswell take my damn debit card and order things for me. We seem to have quite similar tastes in brands, skincare, makeup and haircare so I know 90% of the time what works for her will probably work for me. I appreciate her seeking out quality products and road testing things so I don’t have to. Cheers Kate, you babe you. 1 | Dannii from What I Call Beautiful – Love her photos and she’s such a pretty person! I like how she shows makeup actually on her face, as well as the products clearly and writes detailed reviews. 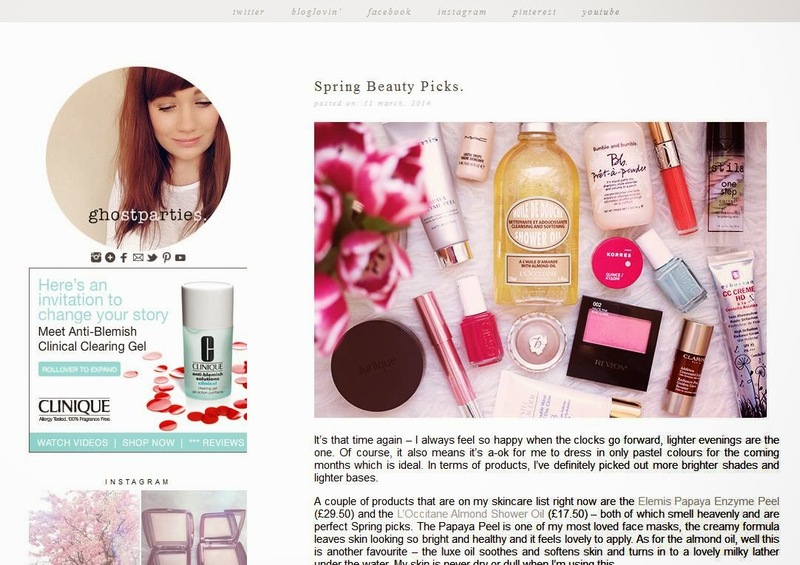 Such a good, all round beauty blog and one worth checking out. 2 | Olivia from What Olivia Did – Pretty sure you’ve all seen the lovely Olivia’s blog, but if you haven’t do go take a peek because she has the sweetest style! She’s a total stunner and lord knows I wish I could do a beehive as well as she does, but her blog in general is so perfectly put together and her photos are always gorgeous. 3 | Ivania from Love Aesthetics – This blog is a minimal dream. I adore Ivania’s look, as everything is so clean cut, has simple colours (hello my favourite black and white tones) and her style just works so well. 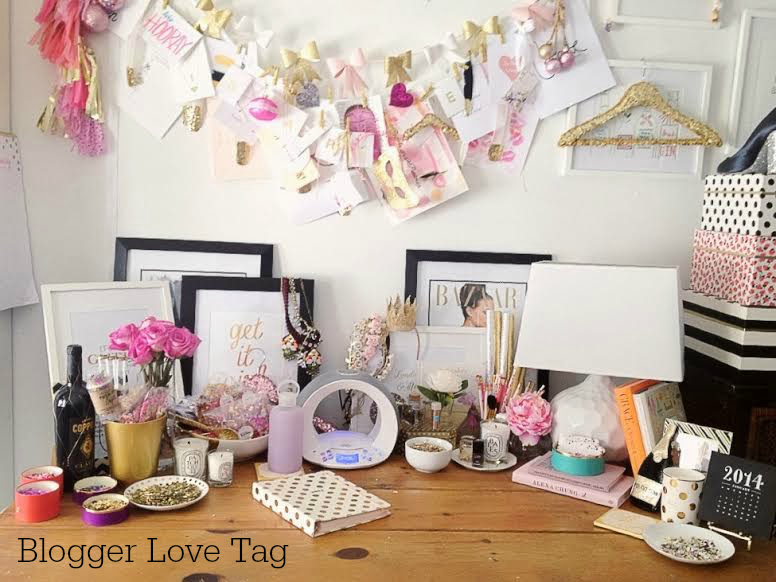 She’s amazing at fashion DIY and I love she shares her ideas with her readers. 4 | Caroline from Beauty Mouth/Caroline Hirons – Yes, I couldn’t not include the wonderful Caroline Hirons. I’m sure you’re all pretty familiar with her, but she is the skincare queen. Her cheat sheets are so handy (I’ve read them countless times now) and her no-nonsense approach to beauty is really refreshing. Plus, she can back it all up with years in the industry, so you know you can trust her recommendations. A must read if you want to learn a few tips and tricks to up your skincare game. 5 | Coco from The Beauty Milk – Another blog I always check for pretty beauty posts. I love how she puts together different makeup looks with clear photos, definitely one to bookmark. Oh so many blogs inspire me, whether they have 10 followers or 10k, it’s nice to find a blog that is something to be admired and that can promote you to try harder with your own. For fashion inspiration, I’ll always look to Sandra from Five Inch and Up, as her outfits and photos are completely dreamy. Plus that hair! Gurl is a pure mermaid. Also, Natalie from Natalie Off Duty is so perfect with a bit of rocknroll aesthetic, which is one of my favourite looks and I’d dress like that all of the time if I didn’t like minimalism so much. For beauty love, the wonderful Sleep and Water is always top of my list for her gorgeous bright photos. I do try and make my photos are light as possible, so her blog is always a bit dose of motivation to keep on trying to improve mine. Favourite blog design or look? I’m a huge fan of minimal, clean looking blogs (hence attempting to make my blog have that ‘look’) but I can’t seem to think of any blogs who have that design off the top of my head! I do like ones with little personal touches too, though, and adore Estee from essiebutton’s new design! Hmm, not quite sure about this one as so many bloggers have so many talents. I love the illustration skills of some and how so many of you can cook so well, as I can’t so am eternally jealous. It’ll be nice if any bloggers end up doing something like releasing a book, I’d be right behind them with support! Who are your favourite blogs? Share the love in the comments please!